I finished so many things this last week! I could not wait to share them all with you. So, please grab something wonderful to drink and a project…lets chat! 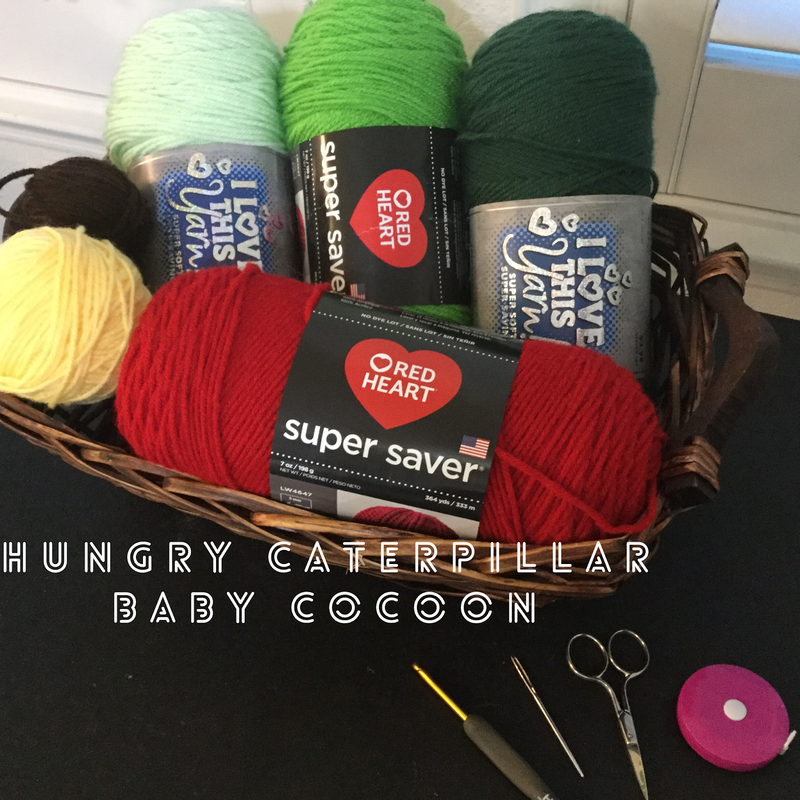 Crochet This Caterpiller Baby Cocoon and Hat set with me! This is sized for a newborn and perfect for newborn photography. Feel free to go up or down one hook size to accommodate if a bigger or smaller baby is expected. 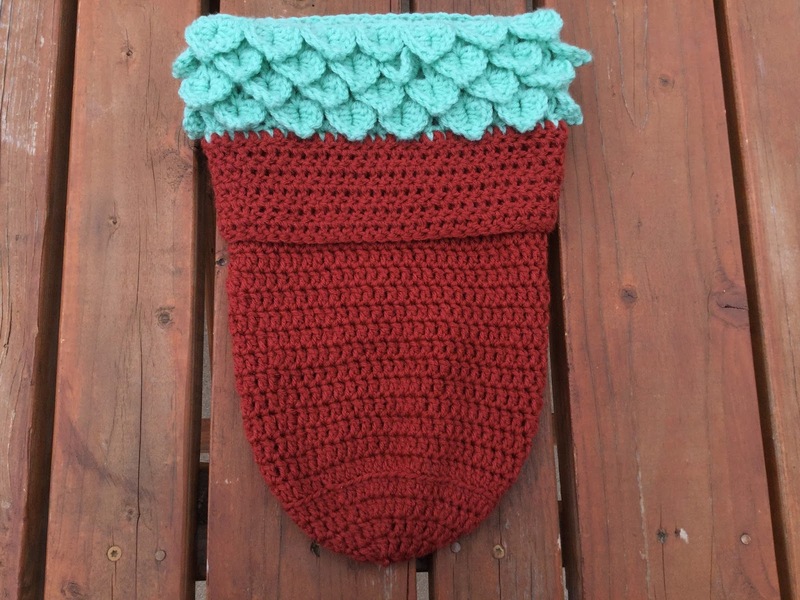 Here is the link for the FREE PDF printable pattern. Hi guys! Nice to see you all and I hope you are doing well. Guess what! Both are very pretty. Let’s discuss the differences really quick. “Its a Wrap” has super cute movie-related names and a nice strong contrast between the three colors in each cake. No gradient at all. It is bold, clean and modern. In store, you will find it in the crochet thread area of your local Michaels. There are 7 beautiful colorways! and they are running $9.99 in store and at RedHeart.com. Its a bit less if you use this link and buy it at Amazon. The Price is 11.99 at Joann’s or on RedHeart.com or you can purchase here on Amazon. Thanks for visiting with me. 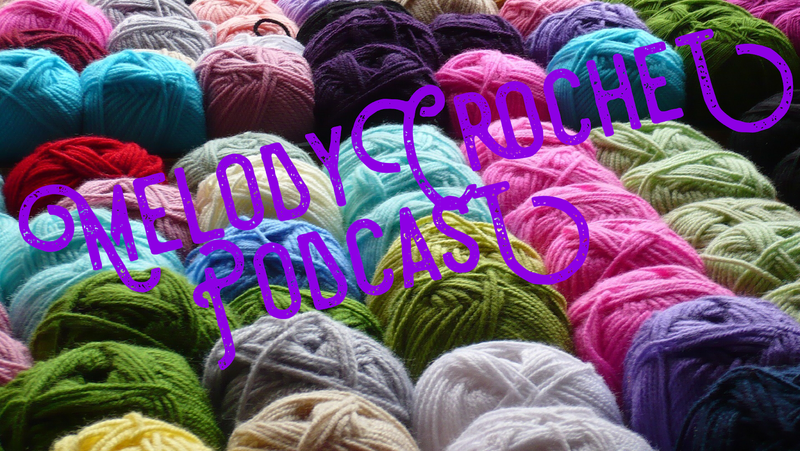 If you have any questions or a request for a yarn that you would like to see reviewed please let me know in the comments! Take care! Please note that my blog posts usually contain affiliate links. I make a commission if you choose to use them. Thank you so much for your support! It really makes my day to make money doing what I love. I just fastened off my beautiful Kelsey Shawl. 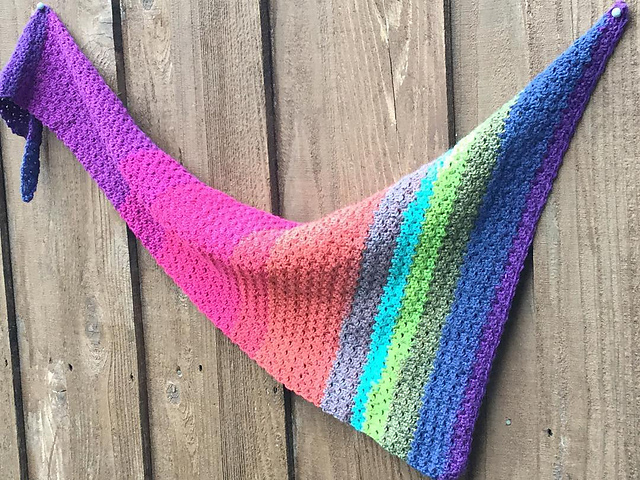 This was such a fun, quick and lovely crochet shawl to make. 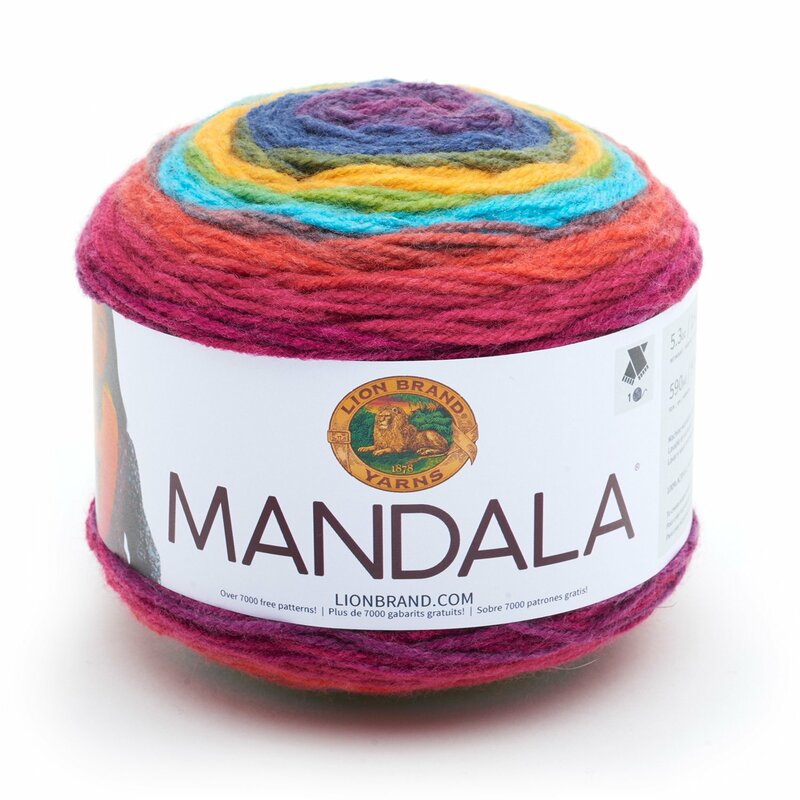 It took just one ball of Lion Brand Mandala. I used the Wizard Colorway. I did a little bit of yarn cake surgery to omit the yellow. 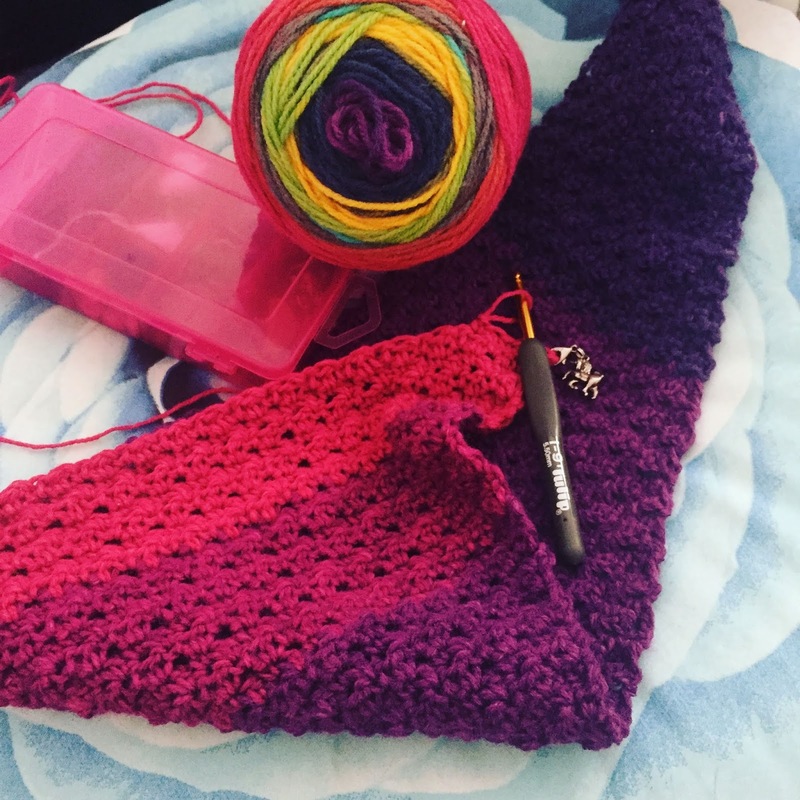 I chose to go up one size on the hook to produce a drapier and airy shawl for this Texas climate. It took me about 5 rows of the pattern repeat to get the pattern down and then I just used a progress keeper on both sides to keep from crochet too few or too many stitches per row. Got to love that clean and pretty edge. I would love to try this in some cotton! I think it would be amazing. Ohhh its baby season again! They are everywhere. Absolutely adorable. You know what else is everywhere? Succulents. Succulents and Cacti as far as the eye can see in art, stickers, slippers…you name it. But, not newborn photography. Until now. Here is my contribution to the cactus madness. My succulent baby cocoon. It’s an interesting crochet that won’t take you too long. And the finish project will make any new parent smile. So, grab a hook and lets play! 2 Colors of Size 4/Medium Weight Yarn. 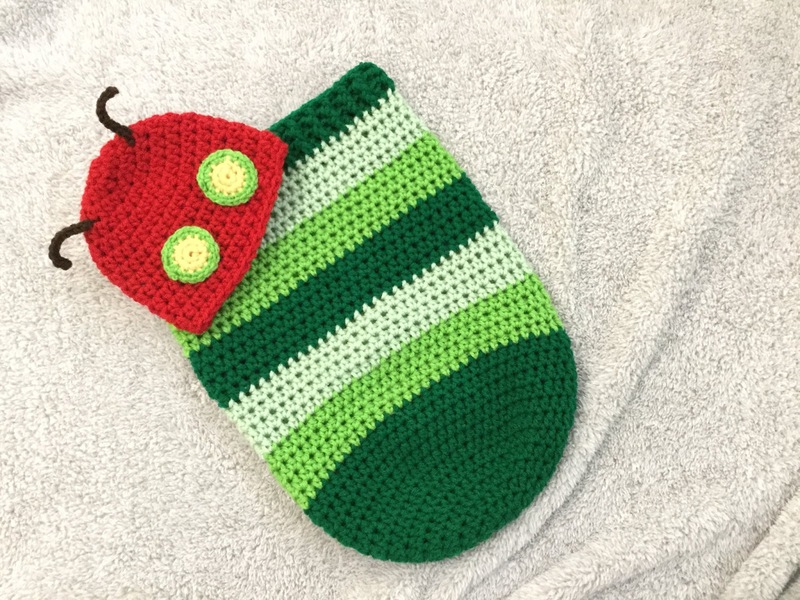 As always if you see something on my blog that you like and you do not want to make it yourself then feel free to contact me for a custom order on Etsy. 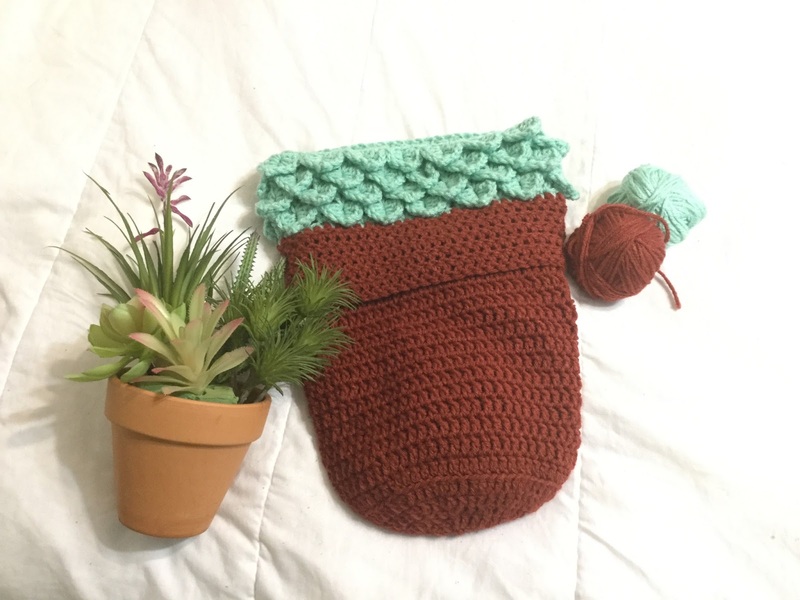 Be sure to use the hashtag #succulentbabycocoon if you post pictures of your make. This post contains affiliate links and if you click them I might be compensated financially. Thank you SO much for your support. It really means the world to me. Hello! Today we are crocheting a swatch. I do this with all new yarns to see how they behave. I will be using Lion Brand Vanna Solid in Aqua and a J Hook. It’s a great way to see what hook you want to use, how a yarn washes up, and a way to compare it to other yarns that you have also swatched. I find it very relaxing, too. So grab a hook and some yarn and let’s have fun! super bulky would need a N hook and perhaps cute the stitches in half. So…about the Lion Brand Vanna’s Choice. I feel silly even reviewing this yarn. It feels like such a standard yarn. It is really what I gauge other yarns against. But, in the name of science I will move on with this! I hope that you enjoy. 🙂 Please like and subscribe. Any links above might be affiliate links and I might be compensated financially. I really appreciate your support if you use them. Podcast Episode 23 Show Notes! I hope you are all doing well. I posted podcast episode 23 this evening. I hope that you enjoy. Mandala Doily in Silk Roving from Darn Good Yarn. J Hook and improvised pattern. Links to My Social Media! Thank you and please note that some of the links in this post are affiliate links. If you choose to use them I greatly appreciate your support!